This device supports the addcional "remote control" feature. Please contact out support for further information. Llevo usando este programa en diversos telefonos y nunca tuve un problema hasta hoy, el caso esque he adquirido un Xaomi Redme 4x y cuando intento entrar en el desde mi Samsung Galaxy S7 bien pero a la hora de entrar en el Xiaomi no me deja hacer nada, sale un dedo, el teclado esta desactivado, no puedo abrir nada, os dejo un video del problema, gracias, espero porfavor que se resuelva cuanto antes. 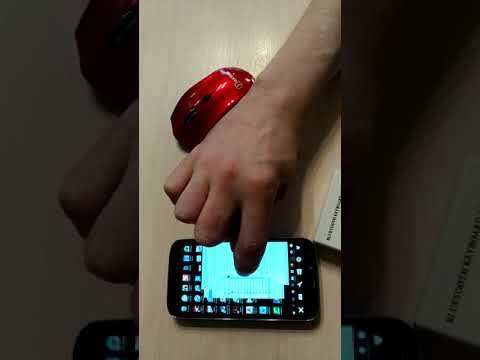 I have been using this program on various phones and never had a problem until today, the case I have purchased a Xaomi Redme 4x and when I try to enter the Samsung Galaxy S7 right but when entering the Xiaomi does not let me do anything , a finger comes out, the keyboard is deactivated, I can not open anything, I leave a video of the problem, thank you, I hope please resolve it as soon as possible. Obviously there are a fair number of users using Xaomi devices, it is not the case that we are just waiting until there are enough before developing. The issue is exactly as I posted before, we have restrictions that mean we ABSOLUTELY require the manufacturers cooperation. Unfortunately we do not have this from Xaomi, so there has been no add-on developed. It is in as a feature request, but as we must wait for this I cannot say if or when we will have this feature available. I connect and can see the screen (mirroring works and display changes with what's on device) but I cannot interact with it, just see the blue hand. Any update on the HMD line of Nokia phones with remote control and not displaying finger tap symbol? I have an LG nexus 5x, but it still won't let me control it? Using Teamviewer Host 13.0.7847 on Pixel 2 XL Android version 8.0.0. Getting "This device supports screen sharing only" message. Does Teamviewer support monitor this board? Is there any hope for being able to control this phone remotely? Are there any alternatives to Teamviewer that can do this? I am waiting for this because until it is develpoed i can't control my redmi 5A from my work place.It is very necessary to control redmi device from any place to them who doesn't fix the problem. Same Problem here, with Nexus 9 Tablet and Windows PC. Blue Hand shows up thats it. Same issue … Did you find a fix? Sunstar82_cwet_kk. I have not found a solution yet. I am still in search of the solution. If I find it I will inform you here. If you find it, help us by posting here. I think the only solution will be if the teamviewer team encodes a driver for this particular hardware / operating system. I am using a Huawei Nexus 6p. Huawei is on your list of supported devices. So why doesn't it allow me to control my phone? I have a Google Pixel (1st gen), manufactured by HTC, and also am not able to actually control any elements. Shocked that TV is not still supporting this phone. When we get the Remote control add-on for Xiaomi? I can see the mouse pointer but tapping does not work. I can only receive the tv box remote desktop on a desktop pc. Possibly solved on Pixel 2 on Android 8.0.1. Try going to your settings, then apps, then expand advanced settings, go to special app access, and enable TeamViewer under Device Admin apps. I have not tested this, but the option is labeled so that it is implied this is required for remote control. I just installed the TeamViewer app from the Google Play store to my Samsung S7 phone. I then installed the TeamViewer Quick Support (QS) app on my Android based tablet. Android OS is up to date on both devices. Started QS on the tablet and received the code. Started TeamViewer on the phone, entered the code, and tapped Remote Control. I can see the tablet's screen on the phone. On the phone I can move around and zoom with zoom mode unlocked. On the phone with zoom mode locked I tap... the cursor (blue hand) appears on the tablet, but nothing happens. Tried other taps and gestures but nothing. Trying to control an Android tablet (Insignia 10 Flex) from an Android phone (Samsung S7). All OS and s/w is up to date. Connection is successful, I can see the tablet's screen on the phone, can move around and zoom (zoom mode unlocked), but taps and other gestures have no effect (zoom mode locked). Installed Team viewer app on phone. Installed Team viewer Quick Support (QS) on tablet. Started AS on tablet and received code. Started TeamViewer on phone, entered code, and connected. Can only see screen, can't control. Any help would be greatly appreciated. This device is not supported by us at the moment. Unfortunately, we are not able to support all Android devices. To allow full remote control of a device, we need cooperation from the manufacturers themselves which we do not have for all manufacturers. Please see our Android Device FAQ For supported devices. As this does require the manufacturers support, we cannot simply commit to making this possible as we cannot do it alone. Okay, thank you for your reply... speedy and very helpful.. I found a solution for your problem friend. Man, it took me days but finally did it! Ok, if you already have your quicksupport app downloaded, keep it. Now, go to Play Store and download Team Viewer Host. When you open it, it will ask you to install the addon. When you finally get it downloaded and installed, go to QS again and open it. You will see that the message will not be shown again, and now you can connect remotely to your android box. Wallaaaaa!! Yessss!!! Installed quicksupport on remote Samsung Galaxy light with Samsung add-on. Installed TeamViewer for remote control on host Kyocera DuraForce Pro also with Samsung add-on. Can control screen but when attempting to access files I get the error "Your partner is currently using the TeamViewer for remote control app, therefore the connection was denied..."
Wouldn't have made sense to install the Samsung add-on on the Kyocera. I didn't, I don't think. To be sure, I uninstalled TeamViewer for Remote from the Kyocera, and reinstalled, without any add-on. Still getting the same error when attempting to access files remotely from the Samsung. I am not able to Control my Android device from my PC. Does someone with TeamViewer support look at these posts? Unfortunately, as explained our Android Device FAQ, this device is not on our list of supported manufacturers and so this device is not supported by us at the moment. As this does require the manufacturers support, we cannot simply commit to making this possible as we cannot do it alone. At the moment this is not on the roadmap sorry. Please add an option to have the ability to remote control xiaomi devices. Or are there any other ways to do it? So Xiaomi develops hardware and the OS which is MIUI. When you say that TeamViewer requires Xiaomi's co-operation does it mean a hardware support or a software support. My guess is that you require a software support in which the MIUI-OS is in a position to take inputs remotely. So assume that on Xiaomi's device one installs custom ROMs such as LineageOS ... will that work ? 3 days back I've bought Redmi Note 5 Pro and I don't see Teamviewer been supported nor do I see a LineageOS image ready yet for this recently launched device. However I'm sure a they will come out with a ROM for such a popular device. Question is: Will LineageOS work with TeamViewer on Redmi Note 5 Pro ? Now this is interesting !!! Since I wanted to get the remote access working I was looking out for other options available on the internet. Turns out that Airdroid did the job for me ! ... I had to install the Airdroid PC application and the mobile app and through that I'm able to remotely control my mobile phone. I've enabled WiFi and also have the USB cable connected from PC to mobile. How come Airdroid is able to get the job done while TeamViewer could not. The error that I got on TeamViewer "Host" and "QuickSupport" apps was "this device supports screen sharing only". Hope TeamViewer's Developer Team is able to figure out this problem. You folks can reach out to me registered email address and I'd be happy to help the dev team. To be honest, I am not sure how much clearer I can be. This is a legal issue. It has very little to do with any kind of technical issue and it is not an issue our developers can solve because it is not a development problem. We are aware of it. It isn't a new thing. And no, we do not support linage or other Custom ROM's for the same reason. We also aren't really concerned with what other software is doing. We require the manufacturers co-operation and this will remain the answer no matter how many times this question is asked. Ahh. Another question about the legality if I may. Is the legality problem connected to the hardware (phone) or to the software (android miui)? If it's a software, will changing android from a different ROM (not xiaomi's) will solve the legality problem?